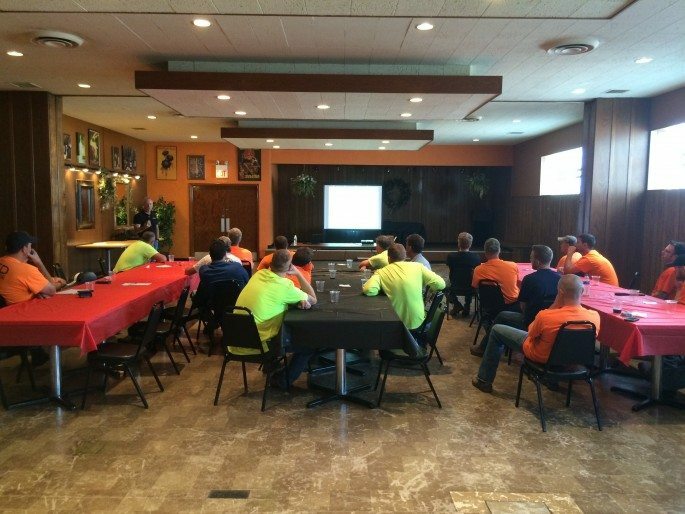 On Thursday, September 24th, 2015, Sharlen Electric hosted our confined-space safety training program for all of our foremen. This informative training program provided our foremen with information about the new updated standards for working in confined spaces, as required by OSHA. This confined-space safety training program exemplifies our company’s commitment to safety on the job site, and every member of our team understands the active role they must play in upholding all of our safety policies so Sharlen continues to lead the way in terms of safety in our industry. Need electrical services? Experiencing an emergency? Contact us for help! Sharlen Electric Company is one of the leading Chicago electrical contractors offering a comprehensive range of electrical contracting services to commercial and industrial clients throughout our region. Our expertise includes new construction, maintenance, underground utilities, telecommunications, network wiring, energy audits, arc flash analysis, and much more. Copyright © 2019 Sharlen Electric All Rights Reserved.